"You have the right to be kidnapped, bound, tortured, gagged, you heart and kidneys drilled, shot through the head, your body dumped for wild animals to feed on..."
Islamabad’s brutal attempts to crush ethnic Baloch nationalism have met with fierce, escalating resistance – and have laid bare the strains that threaten the founding idea of Pakistan. 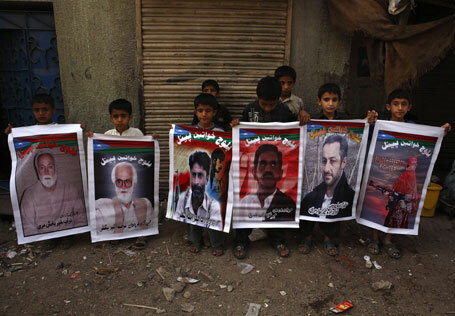 Madiha R Tahir reports from the rallies, homes and hospital rooms of the fifth Baloch rebellion. 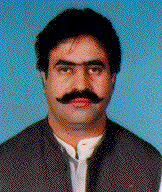 …By empowering a so-called “Baloch jirga” to settle PPP-PML-N row. First of all, the people of Balochistan don’t give a damn about either party, let alone the “row” between these 69-ing nitwits. Second, the Baloch must have laughed their asses off when they heard the “Baloch Jirga” is to be headed by Balochistan Chief Minister Nawab Aslam Raisani and the chief of Jhalawan Sardar Sanaullah Zehri. 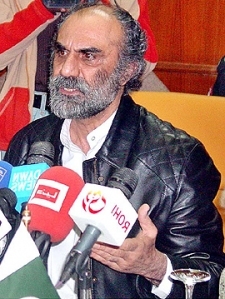 If former military dictator General Pervez Musharraf’s infamous quote, “it is not the 70s that you will hit and run…We will hit you in a way that you don’t know what hit you”, has become one of the most widely quoted statements of a man who devastated Balochistan, one can assertively predict that this statement of Chief Minister Raisani will go down in the history as the most disgraceful proclamation ever made by a Baloch chief minister. The chief minister repeated what was once said by former dictator General Pervez Musharraf and subsequently by Rehman Malik, the current interior minister, that the missing persons had willingly gone abroad. Gone abroad? For what? He said the elements responsible for target killings were also responsible for hiding their associates and then showing them as “disappeared people”. In his words, the missing persons have deliberately gone underground and now the issue is being raised to embarrass the country’s intelligence agencies. Raisani, the fist chief minister in the history of Balochistan to be elected unopposed, is of the view that it is unreasonable on the part of the missing persons’ families to hold the agencies responsible for the whole mess. Expectedly, a very emotional reaction has come from the families of the missing persons in response to the chief minister’s statement. 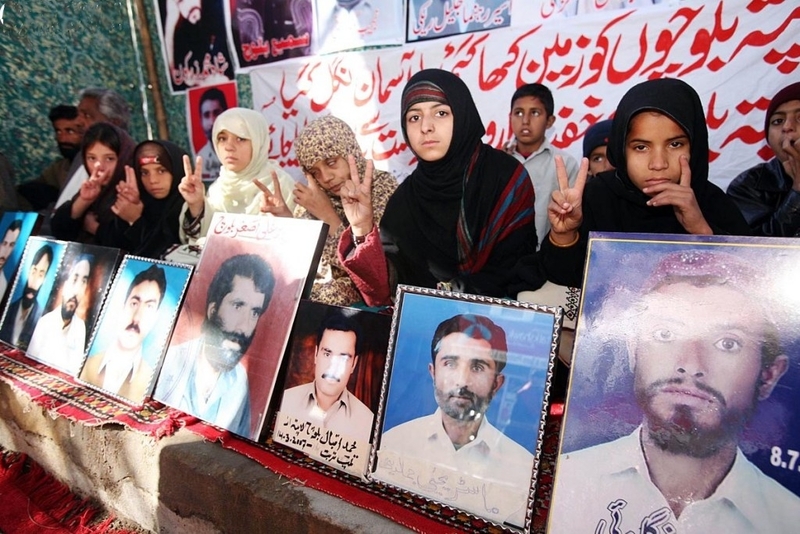 If the government cannot deliver justice to the families of the missing persons due to its inefficiency and powerlessness to check the influence of the secrete services then it should not at least hurt the sentiments of the mothers, sisters, wives, daughters and sons of the missing persons. 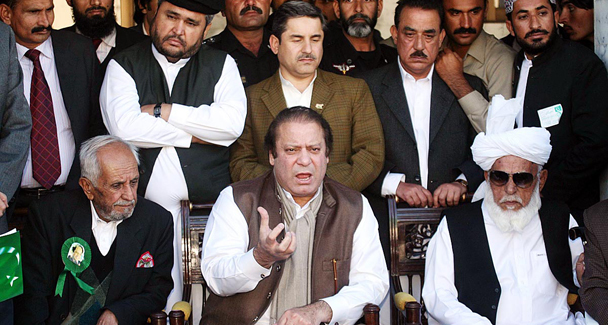 Nawaz by his choice certainly appears to be endorsing the views of Zehri and Raisani and committing political suicide in Balochistan. One wonders if this is by design or Nawaz is just too dumb to realize it? That Raisani was blatant liar (and a man with no honor) is proven by the statements of his own party bosses in Islamabad who had finally admitted days earlier “some missing Baloch activists have been released under the ‘Aghaz-e-Huqooq-e- Balochistan’ (Balochistan package)” and further confirmed the existence of more by saying “more activists are likely be released under the process”. As tensions flare in Balochistan and the government alleges foreign involvement in the nationalist movement there, Dawn.com talks to Sanaullah Baloch, the Central Secretary Information of the Balochistan National Party – Mengal. Your name was placed on the Exit Control List (ECL) and your brothers were reportedly abducted by the agencies during the Musharraf government. Have you considered filing charges now that the judges have been reinstated? My entire family, including my parents, was placed on the ECL. Our assets were frozen, my brother was abducted and kept in an illegal detention centre for six months, and I was physically attacked by Musharraf’s agents during a conference in London. My website and 36 other Baloch websites were blocked by Pakistan Telecommunications Authority. As for filing charges, several Baloch political parties tried to file charges against Musharraf, but the country’s institutions lack the will or courage to accept our plea against him. A confident Baloch guerrilla commander Nawabzada Bramdagh Bugti, 28, believes it is now “impossible” for Islamabad to get him extradited even if he is hiding somewhere in Afghanistan, as claimed by Pakistan’s Interior Minister Rehman Malik, or elsewhere in the wake of increasing “international moral support” the “ Baloch national liberation movement” is attracting because of its “legitimacy”. Bramdagh, the fiercest face of the Baloch insurgency, is a grandson of late Nawab Akbar Khan Bugti, a former chief minister and governor of Balochistan who was killed by the Pervez Musharraf regime in a military operation on August 26 2006. Since then, the young separatist has taken the command of the armed Baloch fighters who demand an independent Balochistan. While the senior Bugti only demanded provincial autonomy for the gas-rich Balochistan province, Bramdagh differently interprets his grandfather’s dream. He stands for a free and sovereign Balochistan. Pakistan has been blaming India for supporting Bramdagh’s armed movement via Afghanistan where Islamabad believes this young fighter is currently hiding. The situation in Balochistan has now transformed into a pain in Islamabad’s nick. On his part, the Baloch leader says if he enjoyed international support, he would vanquish his enemy overnight. MALIK SIRAJ AKBAR: How do you feel about possible efforts by Islamabad to pressurize the Afghan government to get you extradited from Afghanistan where you are believed to be currently hiding?